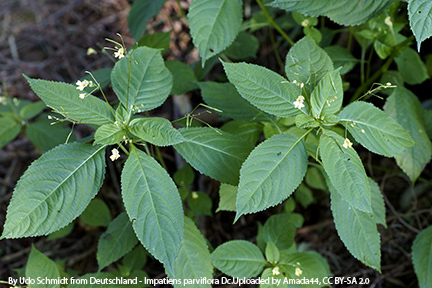 2019 Noxious Weed Lists now available! 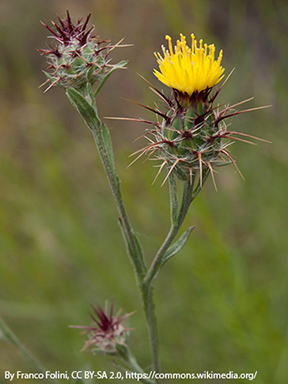 We have printed copies available of the 2019 State Noxious Weed list, organized by common or scientific name. PDF's of the lists can be view on our publications page and copies can be requested by filling out our survey request form. Looking to print your own copies of the list? We have the list available in various sizes and formats on our printable noxious weed list page. The State Noxious Weed Board voted to adopt the following proposed changes for the 2019 noxious weed list at their regular board on Wednesday, November 7, 2018 in Wenatchee. The votes took place after the Board considered testimony received prior to and during a public hearing held the day before. The purpose of the public hearing was to solicit citizen comments and opinions about these proposed rule changes.  Hard copies of the 2019 state noxious weed list will be available soon. Designating Eurasian watermilfoil, Myriophyllum spicatum, grass-leaved arrowhead, Sagittaria graminea, diffuse knapweed, Centaurea diffusa, and purple loosestrife, Lythrum salicaria, in Mason County. Scotch thistle and rush skeletonweed - two new noxious weed postcards! Working in partnership with WSU Extension's Integrated Weed Control Project, we've added two new postcards to our early detection postcard series. Scotch thistle (Onopordum acanthium) and rush skeletonweed (Chondrilla juncea), both Class B noxious weeds, each have a new postcard. To request these and other publications, please fill out our publications request survey by clicking here. All of our publications can be viewed on publications page here. We expanded our Full Circle brochure to a booklet! Request copies of this booklet and our other publications by filling out our request form here. The booklet reviews Integrated Weed Management (IWM), timing of weed control, keeping pollinators in mind as you control weeds, incorporating planting native and/or non-native but not invasive species in the landscape—thinking about landscape goals. It’s important to think beyond just controlling weeds. Short lists are included, providing examples of native plants for eastern and western Washington, along with a short list of non-invasive ornamental plants. View a PDF of the booklet here. Our other publications can be viewed on our publications page by clicking here. Thank you for your invasive ivy specimens! The Washington State Noxious Weed Control Board would like to thank everyone who sent in invasive ivy specimens for our project to determine whether Atlantic ivy, Hedera hibernica (commonly called English ivy), is still the more abundant species compared to English ivy, Hedera helix. We are finishing up our report and genetic testing of a smaller set of samples. We should have our report posted this summer. The State Noxious Weed Board voted on the following proposed changes to the 2018 noxious weed list at their regular board on Wednesday, November 1, 2017 in Wenatchee. The votes took place after the Board considered testimony received prior to and during a public hearing held the day before. The purpose of the public hearing was to solicit citizen comments and opinions about these proposed rule changes. Hard copies of the 2018 state noxious weed list will be available soon. Check back for further updates and information. Information about the proposals is available in our press release--download the press release here. A widespread invasive annual in Europe, two populations of small-flowered jewelweed were recently discovered in Washington. As a Class A noxious weed, eradication of small-flowered jewelweed is required throughout the state. Download the written findings for small-flowered jewelweed. See our web page on small-flowered jewelweed. Malta starthistle, an invasive annual in California and Oregon, was discovered last year in Skagit County, the first time found in the state since 1985. Similar in appearance to the noxious weed yellow starthistle, Malta starthistle is now a Class B noxious weed with control designated in the same counties as yellow starthistle: all of Washington except in Klickitat, Whitman, Benton, Franklin, Walla Walla, Columbia, Garfield, and Asotin counties, and a portion of Stevens County. Download the written findings for Malta starthistle. See our web page on Malta starthistle. 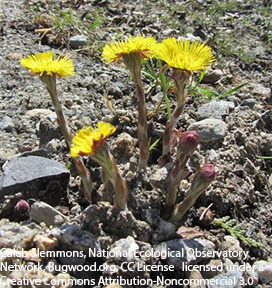 European coltsfoot is a rhizomatous perennial that thrives in disturbed environments. With scattered populations in western Washington, European coltsfoot is a Class B noxious weed designated for control throughout Washington, except for in Grant, Lincoln, Adams, Benton, and Franklin counties. Download the written findings for European coltsfoot. See our web page on European coltsfoot. 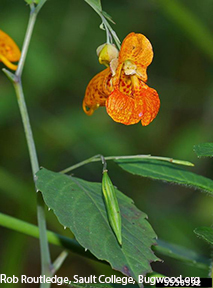 Found primarily in western Washington, spotted jewelweed thrives in wetlands, forests and riverbanks. Native to the central and eastern United States, plants are spreading successfully in Washington and are also able to hybridize with another Impatiens species, native Impatiens ecornuta, spurless jewelweed. Download the written findings for spotted jewelweed. See our web page on spotted jewelweed. This perennial hybrid, a cross between the invasive Eurasian watermilfoil (Myriophyllum spicatum) and the native northern watermilfoil (Myriophyllum sibiricum), can result in a variety of strains--some that are aggressive and resistant to some control treatments. Genetic testing is needed to confirm the identity of the hybrid due to overlapping traits with the parent species. 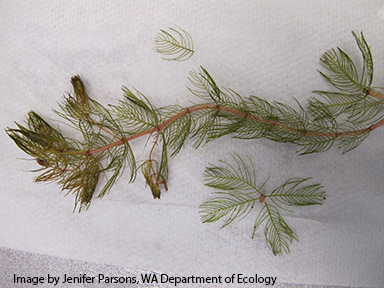 Download the written findings for Eurasian watermilfoil hybrid. See our web page on Eurasian watermilfoil hybrid. 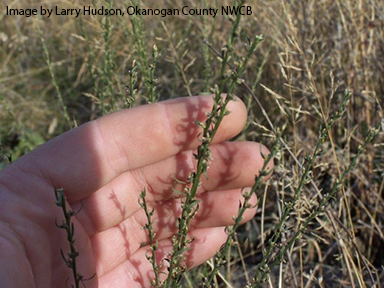 Spurge flax has become too widespread in Okanogan county for eradication to be a reasonable requirement. It is now reclassified as a Class B noxious weed, with control designated throughout eastern Washington, except in Okanogan County. Download the written findings for spurge flax. See our web page on spurge flax. 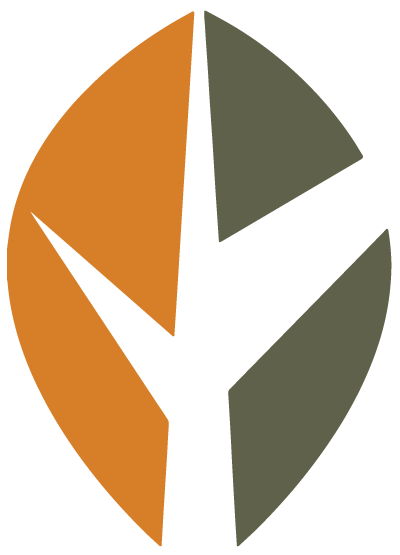 Cheatgrass, also known as downy brome, was considered as an addition to the 2018 noxious weed list. 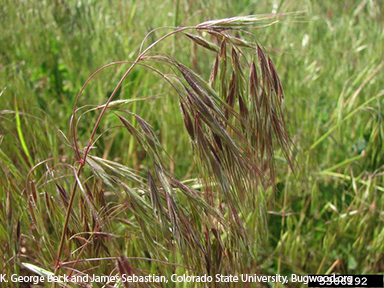 Though it was not added, cheatgrass is an invasive annual grass with many negative impacts, but also serves as a source of spring forage. Download the abbreviated written findings and the supplement document: Downy Brome (Bromus tectorum) and Japanese Brome (Bromus japonicus) Biology, Ecology, and Management, literature review by K. George Beck, which serves as the primary source of information for the written findings, to find out more about this species. Cheatgrass, also commonly known as downy brome, is a common invasive annual grass that becomes fuel for fires once it dies back. Though it can be grazed when it is young, production is variable and the awns of the mature seeds can injure animals.